Kansas City, Mo. — Missouri Southern sophomore pole vaulter Emily Presley has been named the MIAA Women’s Field Athlete of the Week, the league announced today. 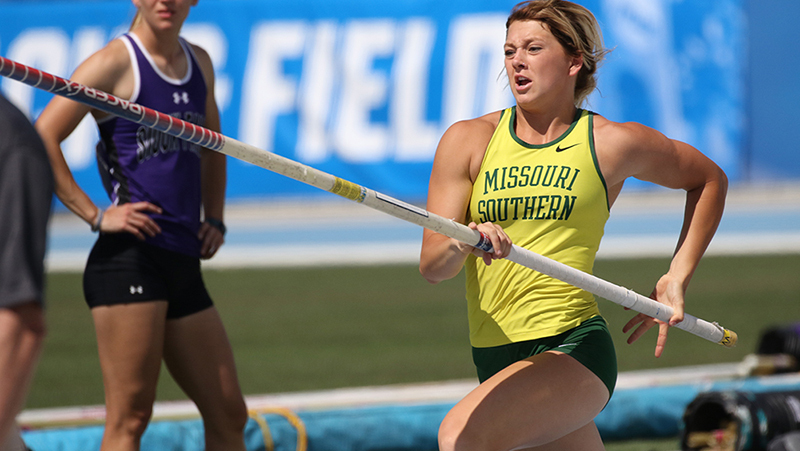 Presley, a native of St. Clair, Mo., and the reigning outdoor Division II National Champion, became the first Division II woman to automatically qualify in the pole vault this weekend by winning the event at the MSSU Open. She broke the MSSU school record by nearly six inches with a height of 13-07.25. The mark is tops in Division II by five and a half inches and tops in the MIAA by over a foot. Presley and the Lions will be back in action this weekend at Pittsburg State.